Bendigo Mills is having a sale. 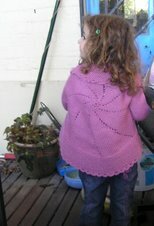 Free postage in Australia over $30 of wool. Each of these balls is 200 gm. The three in the front left are part of the Classic range which comes in 5 and 8 ply. This is dark plum, celery and blue in 5 ply. Possibly socks for grandkids, although I like the plum myself and also other goodies. I have some other Classic in my stash and think I will make some 8 ply hats and scarves to be given to a charity which works with those on the streets here. I know someone who works with this group. 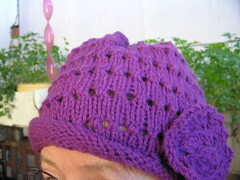 The two balls of lilac to the right of them are for a shawl. A mix of merino, bluefaced leicester and some mohair, about 10 %. I haven't used this before. The 5 balls at the back are all 8 ply alpaca. Black, grey, pistachio and a beautiful soft blue. They are gorgeously soft and squishy and I could sit and pet and squeeze them for a long time. They feel beautiful. i've just made myself an alpaca hat and short scarf and have no real plans yet for this. However, at the price, I could not resist. All up, about $120. Click on image to enlarge. Oh, that's beautiful. I know there's lots of yarns it's hard for Australians to get, that we can get easily in the states, but I must admit I'm envious of Bendigo. That's fantastic...darn it, I wish we could get these finds here in the US! I've found Bendigo only once in all the yarn shops I've visited. I am still poring over the shade cards to decide which yarns I will get! I would like some cotton - so cheap! - but I am not sold on any of the shades yet. I hadn't thought about getting sock wool though...Hmmm...good idea! Which charity were you thinking of knitting for? One in the Inner West? One based at West Ryde which works in Kings Cross etc. just at the moment, the name escapes me. I'm half asleep as I have been up since 2:00am, now 8;00. Someone who used to work where I work is associated with them. Actually, if you are interested in charity stuff, there is a yahoo group, based in Australia, called knit4charities. They are a rapidly growing group which have monthly projects, and who don't mind if you give to any other group you like too. Lots of patterns in their files. Hospitals also take knitting, chemo caps, premie things for babies etc too and don't forget there are AIDS jumpers going in their thousands to Africa and other parts of the worls, from an Aussie charity. lots of things to do. My order arrived in the mail this week too! Yay!!! And I visited Tapestry Craft at your recommendation last Tuesday and was blown away.